A new age has dawned, but not all has been lost from the Old World. As we are introduced to the Mortal Realms, familiar faces begin to appear. 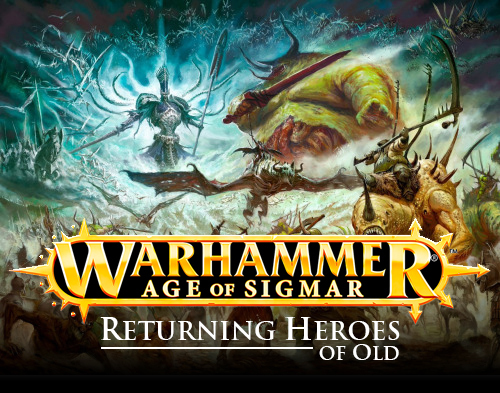 Some of the mightiest heroes and most diabolical villains from the Warhammer world have managed to survive the End Times and are now making their presence felt in the Age of Sigmar. We are now two campaign books into the Age of Sigmar and already there is a long list of returning characters from Warhammer Fantasy Battles. Read on to find out who is still alive and kicking in the Mortal Realms. Let's start off with the most obvious one. Sigmar is in fact, alive and well in the Age of Sigmar. Having survived the cataclysm of the End Times by clinging to the core of the Old World as it hurtled through space, he found himself rescued by a celestial being known as Dracothion. Whether this is literally a giant space dragon, or something else entirely is still unknown at this point (although events from the novel War Storm point to the giant dragon thing actually being true, at least to mortal eyes). Having been shown the Mortal Realms by his new friend, Sigmar proceeded to explore them and discover other lost gods and heroes from the World that Was. 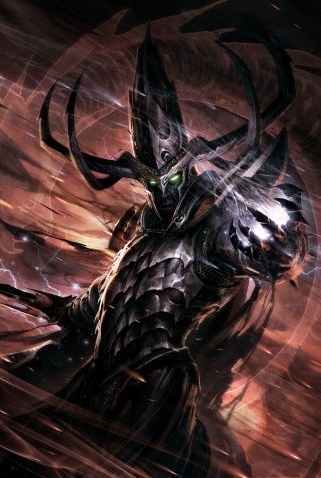 Now he is the preeminent god in the Realms, and hopefully their savior from the dark gods. Alarielle somehow also survived the death of her world, and like many of her compatriots, has now found herself with god like powers. This could possibly be an after effect of having been a vessel for one of the winds of magic, but she now finds herself as the goddess of life in the Realm of Ghyran. 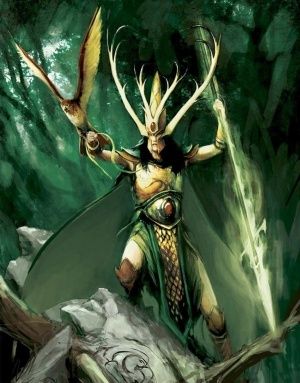 She was responsible for bringing the Sylvaneth, or dryads and treeman, into the realms by planting seeds she had saved from the Old World. Having become disillusioned with her allies, she retreated into her realm during the Age of Chaos to be alone with her glades and forests. Now the Stormcast Eternals seek her out to reforge their alliance against the forces of Chaos, but she is not so easily found, nor does she want to be. The famous twins both found themselves in the Realm of Light, with Tyrion awakening first. Infused with the power of a god, the Aelf discovered that he was no blind. After wandering for several days he found his brother, whom he discovered he could see through. 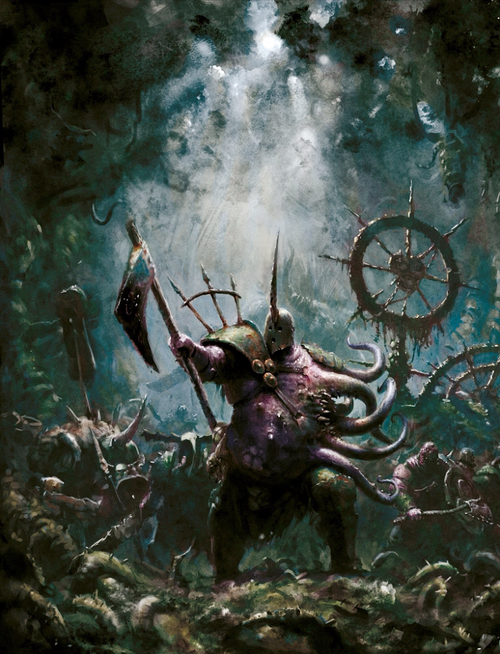 Not much else is known about the two other then that Tyrion and Malerion seemed to have abducted Slaanesh in search for their people. For a long time they could find no other Aelfs in the Mortal Realms. What has become of their race now we are still unsure of. 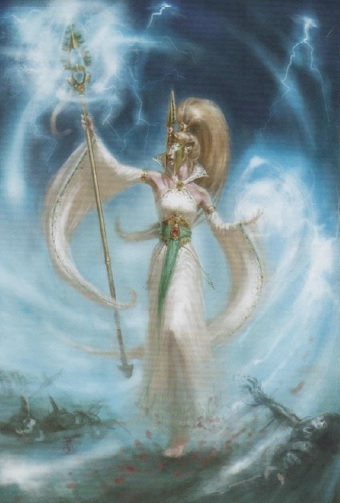 Teclis was also instrumental in helping Sigmar with the creation of the Stormcast Eternals. He contributed part of his vast magical might into obscuring the Realm of Azyr from the prying eyes of the Chaos gods and Tzeentch in particular. The former Witch King, Phoenix King, and Infinity King awoke in Ulgu, the Realm of Shadows. At first he couldn't remember who he was and wandered the shadowy lands in search of others. Eventually his memory started to return to him and he forced his incorporeal form to take a more solid, and familiar guise. For some reason he has also changed his name to Malerion. I'm sure this is done for copyright issues since I think Malekith is a "real" mythological name, and is also used in Thor by Marvel. Whatever the reason is, it does strike me as a little odd that it's never mentioned why his name is different in the story. I think it's just supposed to be a combination of Malekith and Aenarion. In his realm he discovered his mother, Morathi, and the two argued for awhile, before reconciling enough to be cordial. He joined Sigmar's alliance along with all of the other wayward Aelf gods and helped Tyrion in capturing Slaanesh. What he is up to know or where he's at is currently unknown, but it's safe to assume he will be a major player in the Aelf plan. If the drawing of a curiously Malekith like dragon creature in the first big book is anything to go by, he may not look quite how we remember him. Malekith's dear old mom seems to have escaped the clutches of Slaanesh after the End Times. We don't know much about her other then that her and her son still hate each other and that she has joined Sigmar's alliance. It will be interesting to see what happens with her story going forward. 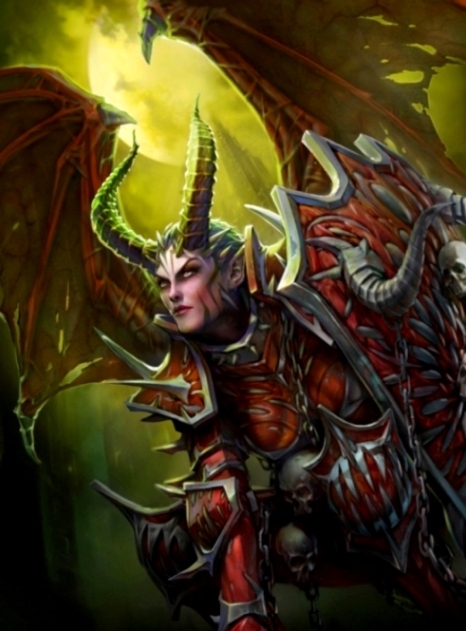 The Great Necromancer is back and it's not really a surprise. When someone has mastery over death I think they can manage to live through almost everything. 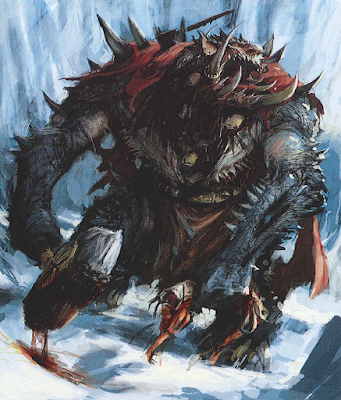 He was discovered buried under a cairn of stones in one of the underworlds of Shyish by Sigmar back in the mists of the Age of Myth. Since then he has taken up the role of god of Death in the Mortal Realms. Back in the End Times he considered himself the god of Death, but now he really is. Every soul is claimed by him when they die and he rules over all of Shyish. He had joined Sigmar's alliance against Chaos, but was then the first one to turn his back on the forces of order. 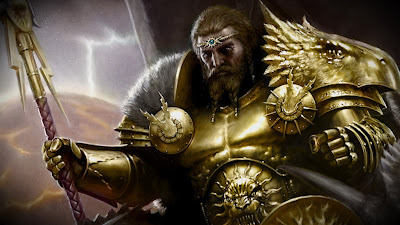 It hasn't been 100% confirmed, but it seems that he struck a deal with Chaos and in exchange gave them access to the Allpoints, an area that has access to all of the Mortal Realms. Enraged at the betrayal Sigmar abandoned his war against Chaos to try and hunt down the Necromancer. Nagash managed to evade the god for long enough that Sigmar eventually had to give up and go back to fighting Chaos. Unfortunately whatever deal he had struck with Chaos didn't stick and Shyish was then invaded and Nagash killed at the hands of Archaon. Nagash being Nagash he didn't stay dead for long and now with the Age of Sigmar dawning he seems to be slowly marshaling his strength again. He is also a little angry that Sigmar is keeping the souls of all of the Stormcast Eternals for himself and denying Nagash his bounty. 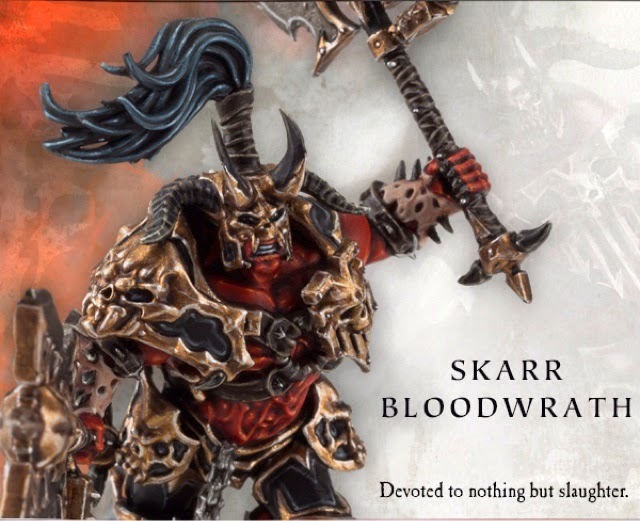 We don't know much about what Arkhan is up to in the Mortal Realms beyond the fact that he is around and kicking. 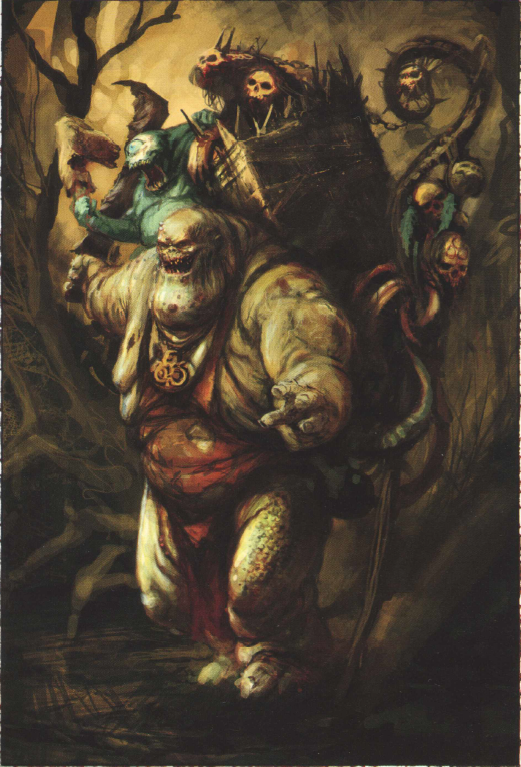 There has been a few mentions of Nagash's Mortarchs still being around as well as at least one piece of artwork specifically showing Arkhan. The two Duardin gods were found by Sigmar chained on top of a mountain top. After freeing the pair they joined Sigmar's alliance, with Grungni being a little more friendly with the human god. After the Gates of Azyr were closed it was Grungni that helped the most with the creation of the Stormcast Eternals. He was instrumental in figuring out how to imbue them with their god like essence and also created all of their armor and weapons. 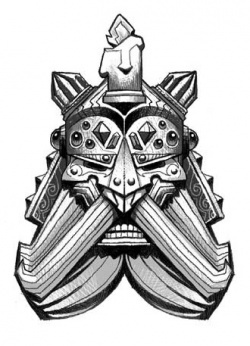 In fact, the hammer in the Stormcast's symbol is Grungni's hammer, which is why it doesn't look like Ghal Maraz. I find it really interesting that the they owe so much to the Duardin and I hope that when the Duardin get more involved in the story that the bond between them is touched upon more. 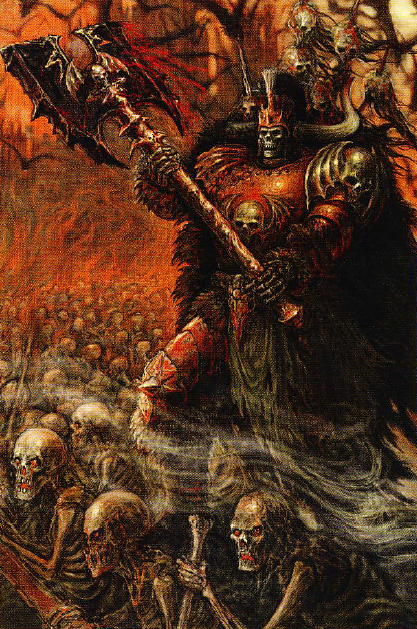 After helping Sigmar get started Grungni retreated to the Realm of Metal to be with the rest of his kin. 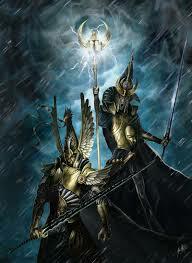 Currently the Stormcast are searching for the lost god and the rest of the Duardin to reforge their alliance. The Slayer god of the Duardin was a little too belligerent to stay put in Sigmar's alliance. 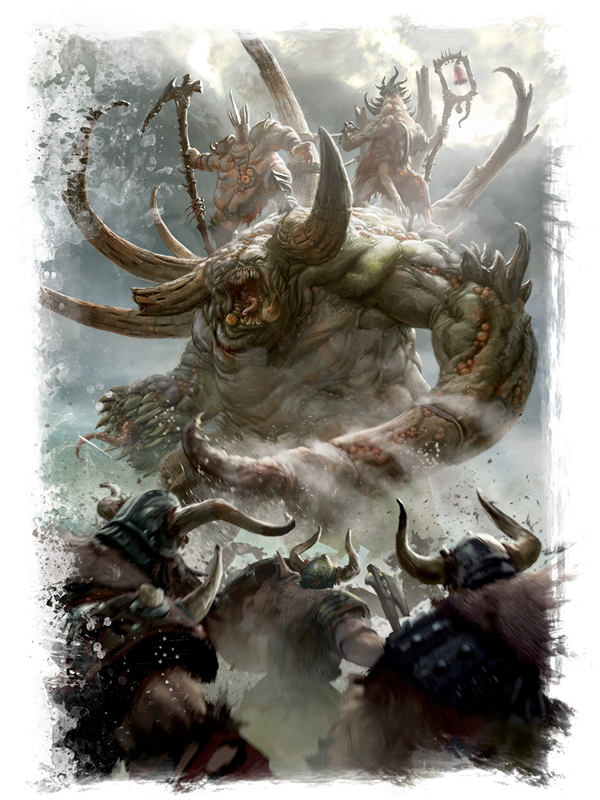 Instead of trying to temper his anger, Sigmar used him to hunt down a lot of the bigger beasts in the Age of Myth. In particular he was sent to battle the firewrym in Aqshy. He was able to kill the beast, freeing the realm from its tyranny, but was "killed" in return. His essence fractured, scattering all over the Realm of Fire. 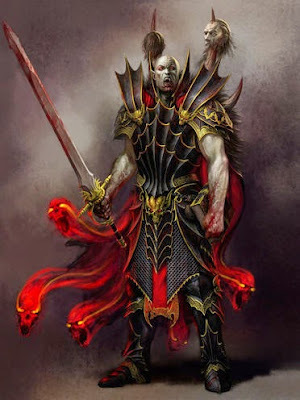 Currently we know that a faction of Duardin called the Fyreslayers inhabit the Realm of Fire and seem to owe a whole lot to the Slayer cult of old. I wouldn't be surprised if there is some sort of Avatar of Grimnir unit for them in the future. The Everchosen of Chaos is back and still the dark gods number one choice for smashing face. 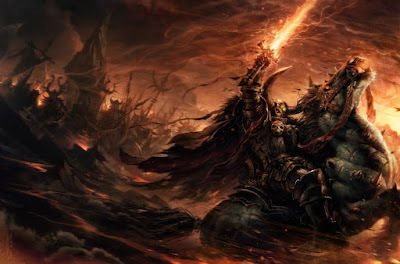 He was their champion during the invasion of the Age of Chaos and was quite successful. 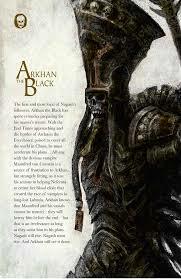 We don't know much about what he did beyond killing Nagash, but I'm sure we will learn more as the story progresses. During the Age of Sigmar he is still around somewhere and I will be interested to see how he is used in the future. Will he continue to be the number one bad guy for Chaos for the foreseeable future or will he get defeated earlier on to let a new character take his place? 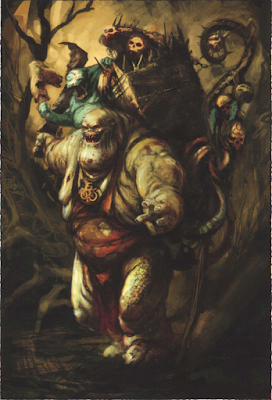 Again, not much is known about the Glottkin besides that they are still alive and are one of Nurgle's favorite group of champions. 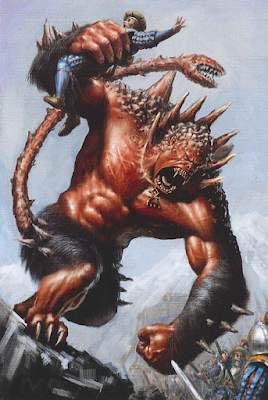 They are currently part of his force attacking Ghyran, sharing duties with Gutrot Spume and a new guy named Torglug. 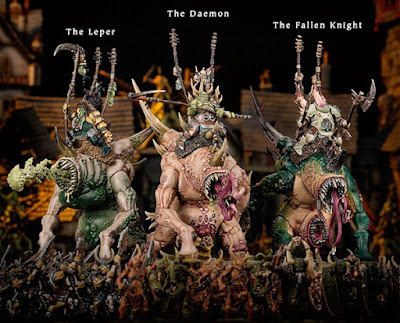 The Maggoth Lords survived the End Times and are generals in Nurgle's armies right now. Not much more is known besides that they are currently in Ghyran. Good old Gutrot is back and still leading his plague fleets in the Mortal Realms. I'm sure he sails actual seas when he can, but it appears that he can actually sail the void as well. Whether this is literally outer space between the realms or some sort of weird magical void is unknown. I'm also unsure whether or not he can sail freely between the realms without the use of gates. Something that is really cool though is that he know has a land kraken, which allows him to "sail" his flagship on dry land as the giant beast pulls itself along. I'm looking forward to seeing more from Gutrot Spume in the future. Valkia hasn't been mentioned in the lore yet beside a brief blurb in White Dwarf weekly. She is being repackaged with a round base and considering she is a Chaos demon that has constantly been resurrected in the past anyway, it's not really a surprise that Khorne brought her back for some more fun after her death at Ludwig's hands. Skarr is another character that hasn't been mentioned in the lore yet, but is also getting a a repackage. He is in the same boat as Valkia since he was always brought back to life anyway even when he was wrecking face in the Old World. You can't keep a good troll down. Throgg the troll king was briefly mentioned in The Quest for Ghal Maraz as leading Chaos forces somewhere in the realms. There hasn't been any other news yet, and as far as I know isn't getting repacked with a round base anytime soon. Festus was rereleased with a round base back when Nurgle got all of it's repacks a few weeks ago. He hasn't gotten a mention in the lore though, but during the End Times he did ascend to demonhood before dying so it's not a huge stretch to imagine how and why he is back. Plus, his model is just way to cool to get rid of. 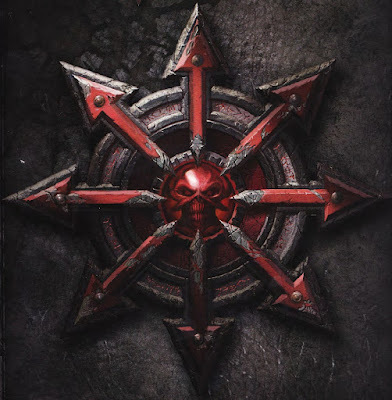 The most famous spawn of Chaos is back in the Mortal Realms. Again, no mention in the lore besides a brief blurb in White Dwarf where he was pictured with a round base. I think it's safe to assume anything seen with a round base is back for Age of Sigmar. I never assume a demon is dead for good, and Kairos proves my point. In Archaon we saw him getting his heads chopped off by the Everchosen himself. 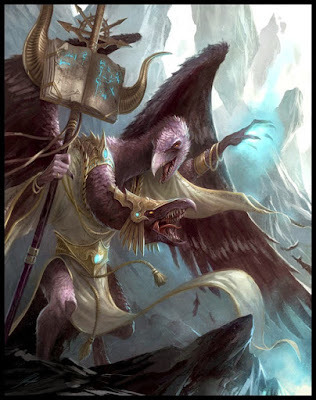 In Age of Sigmar he is in the Realm of Metal and pulling the strings of the sorcerer Ephryx, the ninth disciple of Tzeentch. I imagine we will see a lot more of the master manipulator as the story progresses. 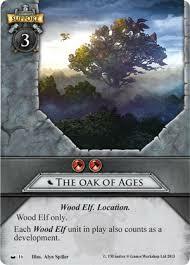 While not a character, any fan of Warhammer will know what the Oak of Ages is. It used to reside in Athel Loren in the Old World and a "small" chunk of it (looks to be quite massive to me) seems to have crashed into Ghyran, the Realm of Life. It's a nice little touch and I'm sure will be massively important with that realm going forward. I hope they do more little nods to the old Warhammer world like this as the other realms are explored. These two haven't been mentioned at all, but they have been in the background of a few army shots of the undead models. 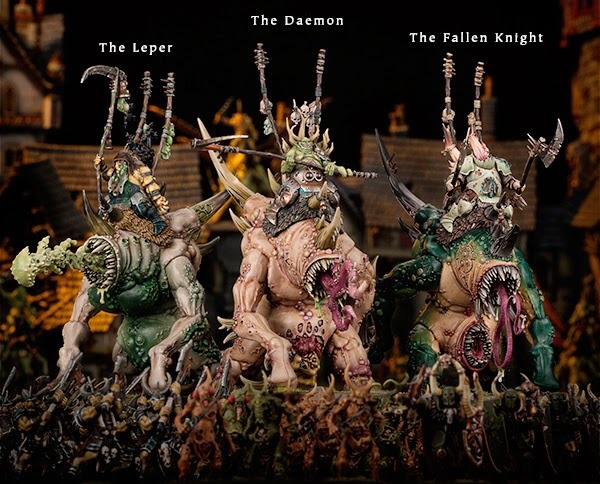 Since Arkhan is around and they are all one model kit it also just makes sense from a business point of view to keep them around. I wonder if Mannfred will be crazy like how he was at the end of the End Times? 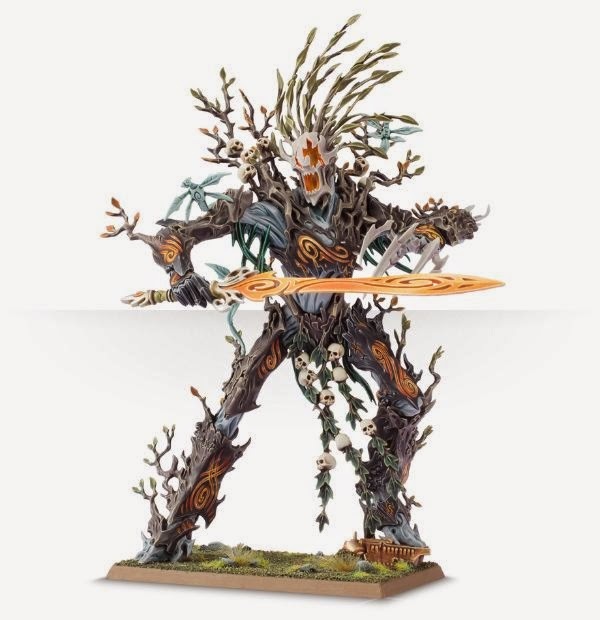 Durthu hasn't been seen or mentioned, but since he is a part of the Treelord kit I wouldn't be surprised if he makes a return somehow. I'm sure Alarielle can find a way to regrow him if she wants. The newest Wood Elf hero had a pretty important role at the end of Khaine during the End Times. It would seem like a pretty big waste if that storyline was left to dangle in the wind so I'm sure we will see more of him when the Aelfs get their turn in the spotlight. I mean, they are pawns of the Chaos gods and the dark gods are the ones who ended the Old World. I wouldn't imagine it would be too hard for them to bring back any of their favorite champions if they wanted to. In the future we may see Sigvald, Wulfrik, Crom, or any of the others who still have models available. Out of all of the Tomb King characters I hope that Khalida is still alive. 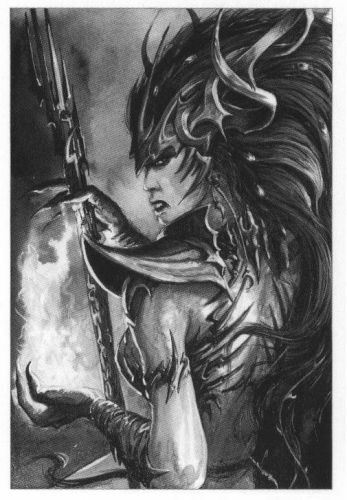 This may seem like a biased opinion since they are one of my armies, but the real reason she should be in the Age of Sigmar is because of Neferata. The two have one of the most famous feuds in Warhammer, which was never really resolved. It would be a shame if they brought Neferata back and left her cousin in the dust of the Old World, letting the Vampire win by default. 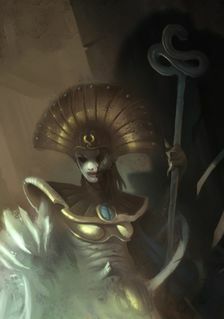 If you want to get rid of Settra that's fine (I guess), but give us our Queen. 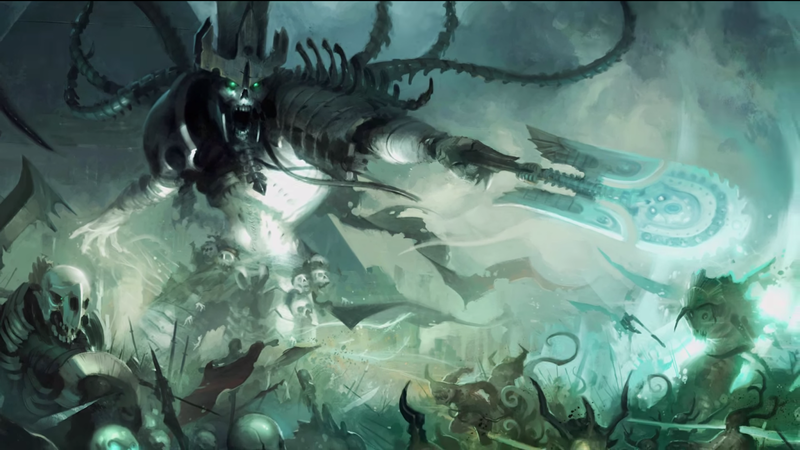 Just imagine the conflict that would come from having to serve Nagash, yet still hating all vampires and one of his Mortarchs in particular. Krell seemed to be a favorite of the writers during the End Times so I wouldn't be too shocked to see him again once the force of Death get their turn. It doesn't hurt that his model is also really, really cool. All of these undead characters are kind of in the same boat as the Chaos ones since Nagash is the master of death. He can bring back anyone he wants too as long as their souls haven't been claimed by another god. I do hope they leave Vlad alone though unless they can continue to do his storyline justice like they did in the End Times. If I missed any returning characters let me know in the comments below. Who else do you think made it through to the Mortal Realms?